Billionaire Richard Branson thinks cannabis entrepreneurs are doing it right. Here’s what he said at the recent New West Summit. Billionaire Richard Branson thinks the cannabis industry is on the right track. During a talk at the New West cannabis business summit in San Fransisco over the weekend [October 15 & 16], he admitted that he was in the mood “take a spliff or two”, along with the now majority of the U.S. population. Here’s how Branson encouraged nearly 1,000 investors and canna-business hopefuls to keep fighting. Sir Richard Branson wants cannabis businesses to keep fighting for legalization. The billionaire founder of Virgin Group addressed crowds via Skype at the New West Summit over the weekend, a conference dedicated to the growing cannabis business, technology, and media scenes. The HERB team were in attendance, and CEO Matt Gray spoke on a panel discussion on the rise of new of cannabis journalism, one of over 30 panels that took place over the two-day event. Branson is not shy about drug reform. He has joined 25 other former world leaders, entrepreneurs, and activists on the Global Commission on Drug Policy. The commission seeks to decriminalize or legalize drugs worldwide, thereby ending the failed War on Drugs once and for all. Cannabis reform is part of that equation. Branson believes that legalization is necessary for a healthy and productive society. 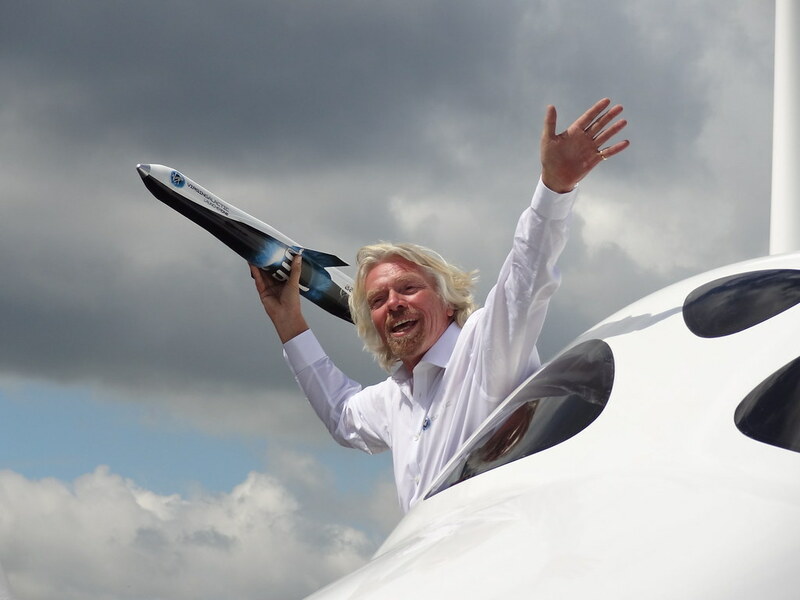 Branson’s New West appearance is a big deal. Last year, the conference entertained a mere few hundred guests. This year, attendees reached nearly 1,000 and leaders from around the country (and across the pond!) joined to discuss the future of cannabis. But, conferences and trade shows aren’t the only things booming this year. 2016 marks some major milestones for the budding industry. This November, nine different states will vote on legalization or some type of reform, surpassing the 50% threshold of U.S. states with herb-friendly policies. Financially, the cannabis scene is proving to be one of the fastest growing industries in the country. New Frontier, a data-analysis group, has speculated that the cannabis sphere grows about 29% annually. This year, the overall industry worth has risen to a whopping $7.2 billion. Compared to cannabis investments four years ago, this number is skyrocketing. Over the next decade and a half, investments in the cannabis scene will have grown from a minute four million to over an impressive $20.5 billion by 2020, according to some estimates. While only a handful of adventurous venture capitalists were interested in cannabis before, huge names like Branson’s provide legitimacy to the field.